Make beautiful flower girl dresses at home? A flower girl is the second most important participant in a wedding procession. She follows the bridesmaids and leads the way for the bride. She symbolizes the bride’s transition from an innocent child to the roles of a wife and mother. Traditionally, the dress of a flower girl resembles the dress of the bride. The importance of a flower girl’s role makes her dress an inevitable expense. The flower girl must look gorgeous and in sync with the bride and the bridesmaids. Usually, the bride has to buy a dress for the flower girl. Brides either get flower girl dresses designed or they buy affordable party dresses. 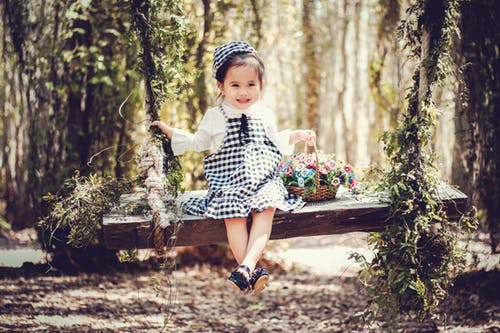 Lately, there is a trend of designing and stitching a flower girl dress at home. Brides, themselves get involved in making a dress for their flower girl. This serves two main purposes – one, it saves money and two, it established a personal bond between the bride and the flower girl. You do not need to be an expert designer or tailor to make flower girl dresses at home. If you want to make flower girl dresses at home, we have a few tips on how to do so. A simple yet elegant lace dress is easy to stitch at home. 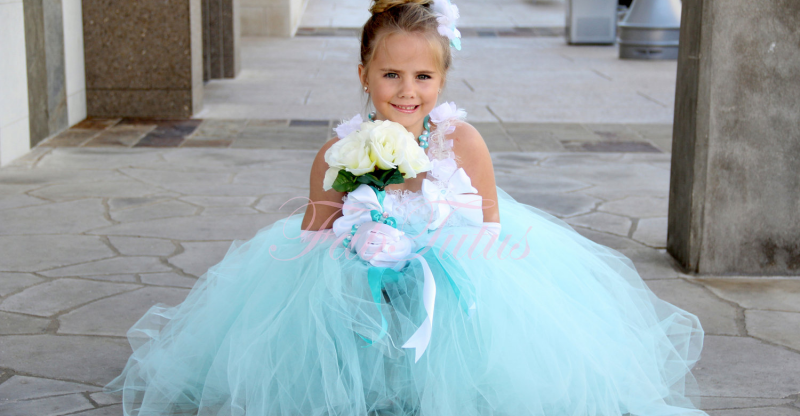 It feels timeless and classic, a perfect flower girl dress for a traditional wedding. Buy a tube top and a lace skirt from the market. All you have to do is stitch the tube top along with the skirt. Assembling both pieces of cloth is not difficult. You will need sewing material including a sewing machine, threads, measuring tape, woven cotton fabric, and lace. Buy matching colors for the thread, woven cotton fabric, and lace. Did you know that there is a particular fabric available in the market which adds an instant ruffle to your garment? The fabric is available in different colors and sizes. Buy a bodice and your choice of ruffle fabric. Cut out the bodice according to the height and width of your flower girl. Cut the ruffle fabric enough to make a skirt and sleeves. Once all the piece is cut assemble them. Start sewing the pieces. Stitch the ruffled skirt pieces carefully. Install a zipper for the back. To make this dress you will need sewing material including a sewing machine, matching threads and lace, a zipper and additional embezzlements if any. Ruffled skirts as flower girl dresses look stylish. Tutu dresses are always adorable. They look prettier when used a flower girl dresses. To make one at home, buy a 100 yards of Tulle fabric roll. Crochet tutu top, soft fabric flowers, glue gun, beads (optional) and scissors. Cut the tulle fabric, double the height of your flower girl. Cut tulle strips of this height and equal diameter. Stretch the crochet tutu top enough for you to see the crochet holes. Take a piece of tulle and fold it into the half. Insert the half in the third row of the crochet holes making a loop. Pull through the rest of the tulle in a way that you make knots on the band. Repeat this till you cover the complete row of crochet hole. Make a second layer by repeating the procedure, but using the sixth row of crochet holes. To make sleeves, use a satin ribbon and tie them from the opposite third row of the crochet holes. Stick fabric flowers and beads wherever they look good. 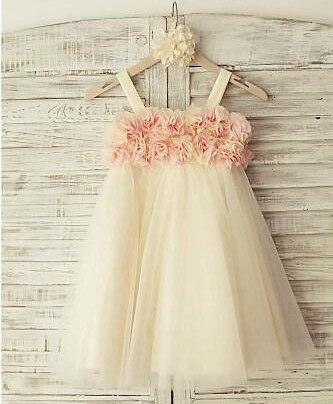 There are many other DIY ideas of making flower girl dresses online. Find the one that you can work on.